Love the Community, 07 Mar 2018Blah, blah, blah! Sharp is irrelevant now, then and forever. Look at their latest offering. It... moreIts not a question whether it's relevant or not. The question is who copied and from whom. It's frustrating when you're paying for design engineers and what they do is just copy the work of others. There's no originality as if they were not thinking. Anonymous, 07 Mar 2018Your iPhone camera is made in Sony ... like this one.Did I say it is made by Apple in my comment? Kindly read it again, because I specifically mentioned "design". Love the Community, 07 Mar 2018Blah, blah, blah! Sharp is irrelevant now, then and forever. Look at their latest offering. It... moreHaha... Are you just jealous that the Japanese prefers to keep the best in their hometown..? nothing-, 06 Mar 2018Another ripoff Iphone camera design. At least make it better by not protruding the lenses, mak... moreYour iPhone camera is made in Sony ... like this one. And when you hold it your finger will cover it. Anonymous, 07 Mar 2018Except Apple copoed them. They started designing the bezeless phone a year before Apple. Re... moreYou don't know the half of it. I'm going to guess most people have never seen this. 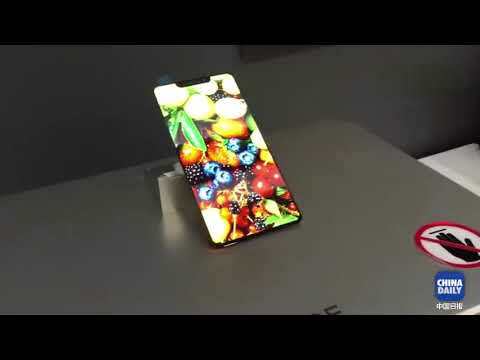 This is a BOE model of one of Xiaomi's Mi MIX 2 concept designs. Look familiar? The reason the real MIX 2 didn't end up looking like this is because Xiaomi asked their fans what they thought about a cutout piece of the screen to fit the selfie cam. (A notch but that term wasn't coined yet.) Xiaomi fans were very negative about notches so Xiaomi decided to go with an updated MIX design instead and Apple took this design. Anonymous, 07 Mar 2018XiaoMi in fact copied an AQUOS model from Sharp which was released in 2015... Sharp started t... moreApple in fact copied Motorola with fps. But wait aren't they the inventors..
Apple copied essential with notch. Oh wait it's an innovation..
Mi Mix 1 still the best bezeless (85% BtS ratio). Nobody's touched it (design wise). Mix 2 was a samsung copycat, thus a downgrade. Anonymous, 07 Mar 2018XiaoMi in fact copied an AQUOS model from Sharp which was released in 2015... Sharp started t... moreBlah, blah, blah! Sharp is irrelevant now, then and forever. Look at their latest offering. It's not a flagship and it's not a "message" to Xiaomi that this is how you make a tri-bezelless phone. Erase Sharp from history now please. Sharp released their model before the 2 did theirs... Cheers..! Anonymous, 06 Mar 2018And when did I say Apple and Google are saints? Keep your whataboutism and condescending tone ... moreSo which device are you using? you'd understand what I mean if you had a corner-camera phone. not really into a camera person. i preffered performance over everything. hope it would come as advertised. When will be available here in the Philippines!